Recently, Romania's government has drastically cut pensions to the elderly. 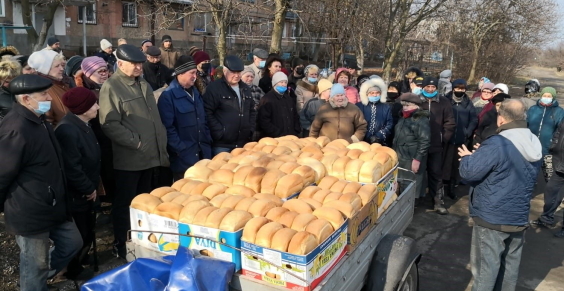 Many go without heat, some may freeze to death. 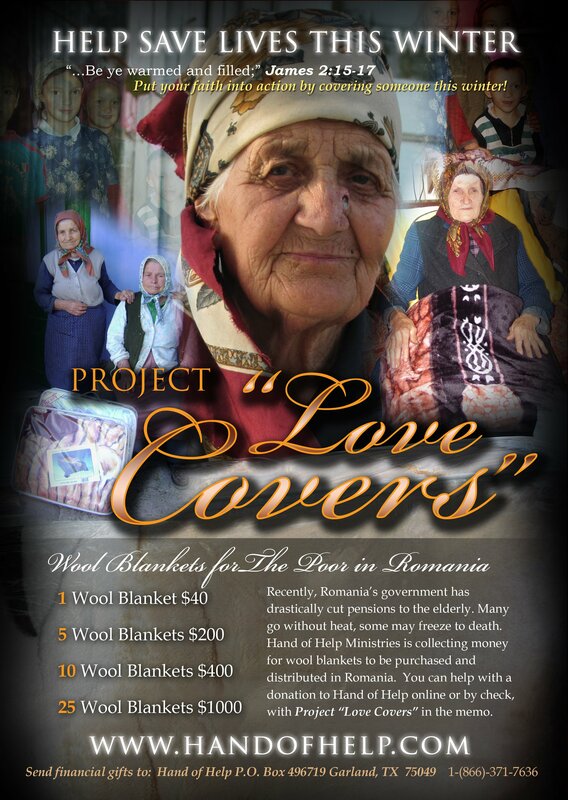 Hand of Help Ministries is collecting money for wool blankets to be purchased and distributed in Romania. You can help with a donation to Hand of Help online or by check, with Project "Love Covers" in the memo. Huge poster-size print JPG for your organization.